PS2-to-PSP ports are so last gen. Sega is pushing into new territory with PS3-to-PSP ports. First screens. The arrival of the PlayStation 3 would, you'd imagine, herald the end of quick 'n' easy ports to the PSP, but Sega is proving that's not the case. 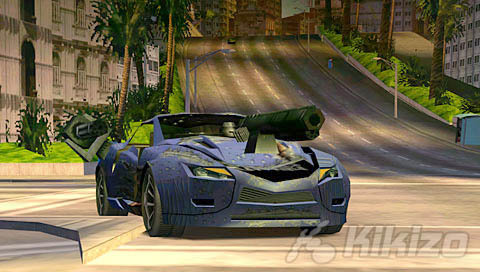 The company said on Friday that it is working on a portable version of its new car-combat game Full Auto 2: Battlelines for the PSP. 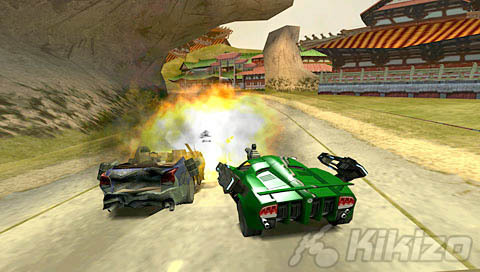 To be fair, Sega says there's new content in the game, including a new story mode that covers a full 56 events, new cars designed just for this version, and also a range of offline multiplayer modes, so that you and your PSP-owning friends can smash cars together. 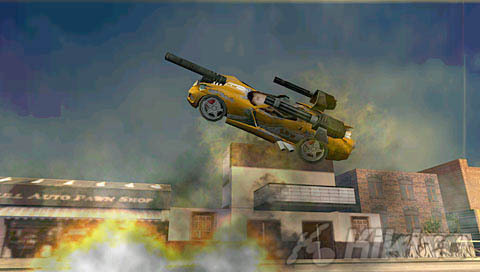 The Full Auto series is the latest in the age-old genre of car-combat games, where players have to win by either showing off their racing skills or by using all sorts of weapons to ensure their opponents never see the finish line. Full Auto 2: Battlelines is one of the first coming out of a new deal that Sega signed with Deep Fried back in September. 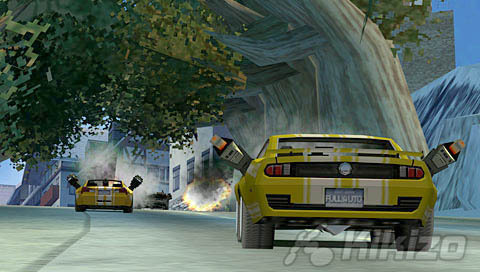 The developers at the company have between them worked on a few popular games over the last few years, including both Need For Speed Underground games. The game is due out on PSP next spring. 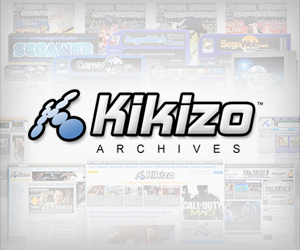 Find out more about Full Auto 2: Battlelines at Sega's official site.